Looking to earn your own Brita® Hydration Station®? Drink up® and Brita® Hydration Station® have teamed up to help groups fundraise to earn their very own Brita® Hydration Station®! Both Brita® Hydration Station® and Drink Up® are devoted to help raise awareness about the benefits of drinking water and healthy hydration. Submit a request to receive an order form. 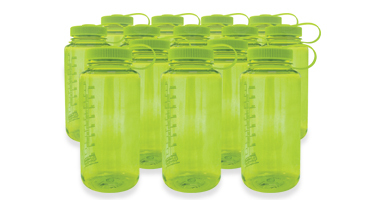 Place your order selecting product model type and bottle color along with your custom logo. Proceeds pay for the new Brita® Hydration Station®! To learn more about the program or to get started, visit the Brita® Hydration Station® Fundraising Page or watch the short presentation below by Haws Corporation® that goes over the fundraising program details. I want to do a fundraiser for Laie Elementary School Hydration Station. Your website is down.